Pipe Bands Vic cordially invites the music leaders of your band to attend a presentation of ‘Ensemble’ being held at the Maroondah Club on Sunday 17 June at 1:00pm prior to the Branch Council meeting. This presentation is not only limited to Pipe Majors and Drum Sergeants as any other music leaders, tutors and band personnel are welcome to attend. While this presentation will be particularly relevant to Grade 4 bands, it is applicable to all bands and the purpose of the presentation is to explain the Ensemble Rubrik that was developed by our music adjudicators at a recent workshop. The overall aim is to provide a better understanding of Ensemble, and the current criteria the Ensemble judges are utilising to assess musical performances at our contests. Please convey your attendance to Ross Connolly, Secretary at your earliest convenience. The most frequent interaction between music adjudicators and bands is in the assessment and critiquing of performances in competition. What is it adjudicators actually look for and comment upon? 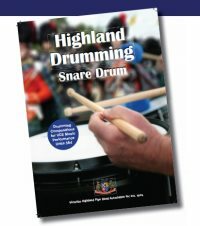 How can adjudicator comments be used in a practical way to improve a band’s musical presentation? Victorian music adjudicators have undertaken an exercise to connect their work with giving specific, meaningful guidance to bands so they can improve their performance quality and musicianship.